Monster-Ram improves airflow from the intercooler. Raises boost without increasing backpressure at the turbine. Result: a more responsive, fuel-efficient engine. Maximum power, performance and efficiency are the ultimate goals, but to make it all happen the engine has to breathe freely and without needless restrictions. 2012-2016 Jeep Wrangler JK 3.6L V6. Sound tuning—only from Banks Power! The huge inlet, enclosed housing and much larger tubing reduce restrictions, dramatically improving airflow to the cylinders. Cold Air Intake. Monster-Ram improves airflow from the intercooler. Raises boost without increasing backpressure at the turbine. Result: a more responsive, power efficient engine. The top two NPT ports are positioned to allow for proper atomization directly into the center of the air mass while preventing wall wetting. BANKS POWER 42168 SUPER-SCOOP. The Banks Power 42168 Super-Scoop for your 03-07 Chevy 2500HD/3500HD is an add-on product to the Banks Ram-Air Intake System. Rainwater and debris are funneled out of the bottom. Vehicle: 1987-1998 Ford 460 Truck, EFI (Electronic Fuel Injection). Banks Ram-Air Superiority. Flows more cool, dense ram-air into engine. Includes service kit for use every 30,000-50,000 miles. Ford 460 Truck, EFI. 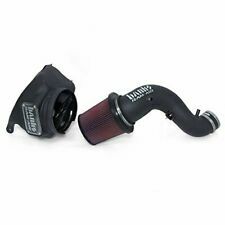 41837 Banks Power Ram-Air Cold Air Intake Jeep Wrangler JK 3.6L V6. Banks Ram-Air® Intake System. PPW, BANKS AUTHORIZED DEALER SINCE 2009 & FULL WARRANTY . Intake temperatures will generally be higher than ambient conditions, but the more the system can duct cool air to the filter and preserve the cool temperature as the air is ducted to the turbo, the higher the air density will be. 41802 Banks Power AIR INTK W/ELE FAN 99-08. BANKS BILLET INTAKE Grid Heater Delete. Banks Billet Intake Grid Heater Delete. Vehicle: 2001 DODGE RAM 2500 5.9L DIESEL. 2002 DODGE RAM 2500 5.9L DIESEL. 2003 DODGE RAM 2500 5.9L DIESEL. 2004 DODGE RAM 2500 5.9L DIESEL. (An indicator of unburned fuel, black smoke is power you can see but not use!). 2001-2004 GM 6.6L Duramax LB7. 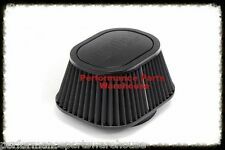 The Banks Power 42169 Super-Scoop for your 03-07 GMC 2500HD/3500HD is an add-on product to the Banks Ram-Air Intake System. Rainwater and debris are funneled out of the bottom. BANKS POWER 42169 SUPER-SCOOP. 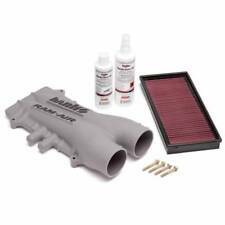 The system includes a smooth-flowing intake tube and reusable air filter-no need to ever replace it-just wash it, dry it, and stick it back in. Ram Air Filter Assembly with Silencer Delete Tube-. Because we aren't just about the single sale here. Banks Ram-Air Intake Systems are tested and proven. They start out as CAD software prototypes and are put through flow simulations. After a hardware prototype is made, it's tested on a flowbench. Then it's tested on the vehicle. , giant outlet, and the complete air filter housing with large side & bottom inlets. Its the perfect upgrade whether youre just starting out or working to build a serious, purpose-built machine. sensors, the skys the limit for performance expandability. Maximum power, performance and efficiency are the ultimate goals, but to make it all happen the engine has to breathe freely and without needless restrictions. 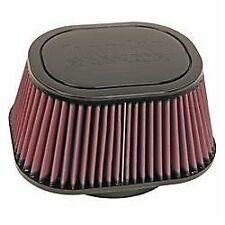 Use with existing Banks Ram-Air Intake System. Ram-Air Intake System Not Included. BANKS DRY FILTER. PPW, BANKS AUTHORIZED DEALER SINCE 2009 & FULL WARRANTY . Cleanable with Synthetic Air Filter Cleaner. Its the perfect upgrade whether youre just starting out or working to build a serious, purpose-built machine. sensors, the skys the limit for performance expandability. For maximum results, step-up to the Monster-Ram with Banks Boost Tube System. The Banks Power Single Monster Exhaust System - 48700 is the open, free flowing, great sounding exhaust system for your 2004-2007 5.9L Dodge Cummins 325hp rated engine pickup with a standard cab long bed or a crew cab short bed. 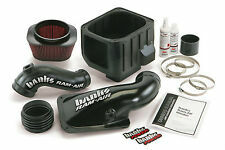 Banks Ram-Air® Intake System. Easy install; the reusable filter is easy to access for monitoring and cleaning. It's always been about airflow and with the Ram-Air Intake, it starts right up front. Ram-Air bolts on in minutes and requires zero modification. It's designed to feed your 7.3L more cool, dense air than it's ever seen. 42190 Banks Power SUPER SCOOP W/STND BUMPR. 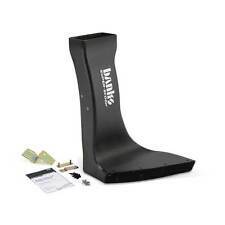 Banks Ram-Air Intake Systems are tested and proven. They start out as CAD software prototypes and are put through flow simulations. After a hardware prototype is made, its tested on a flow bench. Then its tested on the vehicle. (An indicator of unburned fuel, black smoke is power you can see but not use!). A dry air filter, designed specifically for the Banks Power Ram-Air Intake System. Note: Use with Banks Power Ram-Air Intake System, Part Numbers 42145-D. It's that feeling you get when you rev up that engine. Banks Power 41816. The huge inlet, enclosed housing and much larger tubing reduce restrictions, dramatically improving airflow to the cylinders. 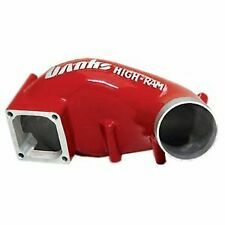 Cold Air Intake; Ram-Air (R); Black Polyethylene Tube; Red Filter; With Air Box. 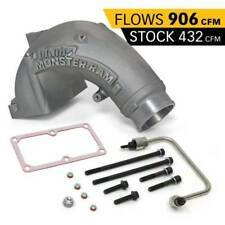 Banks Power Ram-Air Intake System For 2001-2004 GM 6.6L Duramax LB7 42132-D. 2001-2004 GM 6.6L Duramax LB7. (An indicator of unburned fuel, black smoke is power you can see but not use!). 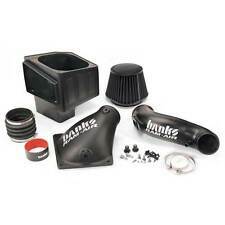 Banks 42230 Cold Air Intake SystemBanks Power 42230. Public Forums. Need to make a change?. Disclosure of Information Policy. Your credit card information is encrypted while traveling the Internet. For their protection, we ask that children do not submit information to us without the consent of a parent or guardian. (It's the perfect upgrade whether you're just starting out or working to build a serious, purpose-built machine. sensors), the sky's the limit for performance expandability. For maximum results, step-up to the Monster-Ram with Banks Boost Tube System. Its performance is extensively tested and validated in the computer using Computational Flow Dynamics, then on the flowbench, and later, one the vehicle. Washable & reusable "oiled" filter. Giant filter maximizes high-flow filtration. 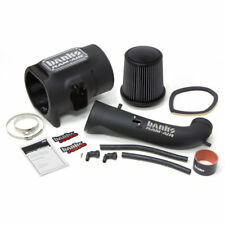 Banks Power Ram-Air Intake System for 1999-2003 Ford Powerstroke 42210. The Banks Power Ram-Air Intake System - 42210 is the best way to cool down your 1999-2003 7.3L Ford Powerstroke's intake air temperatures.